Maze Runner: The Scorch Trials debuted in first place last weekend with $30.32 million. However, the young adult sequel from 20th Century Fox debuted significantly below expectations and an underwhelming 7 percent below the $32.51 million debut of last year’s The Maze Runner. 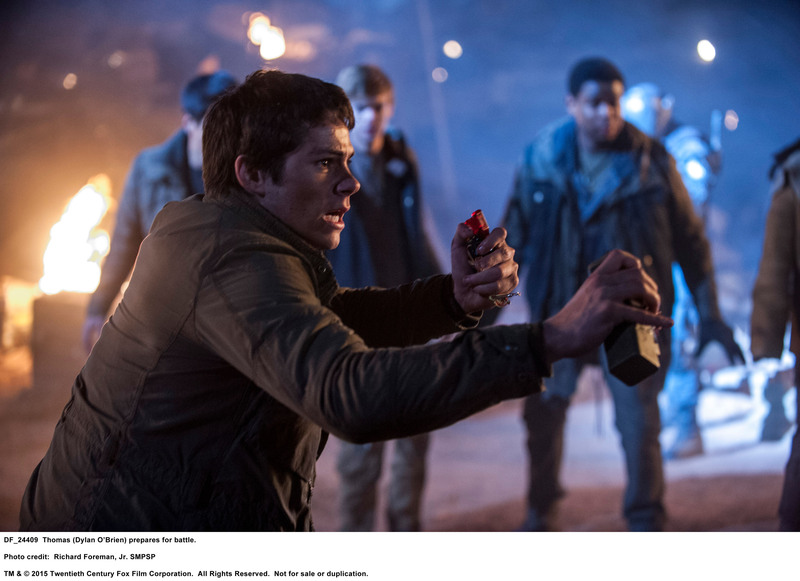 With that said, without adjusting for ticket price inflation, The Scorch Trials delivered the eighth largest September debut of all-time just ahead of 2009’s Cloudy with a Chance of Meatballs. Maze Runner: The Scorch Trials outpaced Black Mass by $7.68 million in the battle for first place over the weekend. Warner Bros. Pictures’ Black Mass debuted in second with $22.64 million. While the Johnny Depp led crime drama didn’t nearly reach the heights that its strong online pre-sales had suggested, the film was still off to a solid start and opened in line with low-end expectations. Given its moderate price tag, the film’s debut was arguably Depp’s strongest since the launch of Pirates of the Caribbean: On Stranger Tides back in 2011. Universal Pictures’ The Visit finished third with $11.57 million. The low-budget M. Night Shyamalan directed horror thriller from Blumhouse Productions was down 55 percent from the previous weekend. That represented a sizable, but respectable second weekend decline, especially given the overall new competition that arrived in the theaters. The Visit continues to exceed expectations with a 10-day take of $42.56 million. The previous weekend’s top film, Sony Pictures’ The Perfect Guy was down three spots and a sharp 62 percent to finish in fourth with $9.75 million. Despite the sharp second weekend decline, in the bigger picture the low-budget thriller starring Sanaa Lathan, Michael Ealy and Morris Chestnut is still performing very nicely with a 10-day gross of $41.46 million. Everest was off to a healthy fifth place start with $7.22 million. Universal’s adventure drama opened exclusively in 545 IMAX 3D and PLF 3D locations. Given the strength of last weekend’s exclusive debut, prospects are looking bright for Everest when it expands into traditional wide release this coming weekend. Sony’s War Room continued to hold up nicely with a sixth place take of $6.22 million. Continued strong word of mouth continues to drive the Kendrick Brothers’ faith based film, as it was down a slim 20 percent from the previous weekend. War Room has grossed $49.05 million in 24 days. As War Room continued to excel, fellow faith based film Captive stumbled out of the gate with an 11th place start of just $1.39 million. The drama thriller from Paramount Pictures starring Kate Mara and David Oyelowo opened below modest expectations. As was the case with Samuel Goldwyn’s 90 Minutes in Heaven the previous weekend, potential for Captive was clearly limited by the continued success of War Room. On the limited-release front, Lionsgate Entertinment’s Sicario was off to a strong start with $401,288 from six locations. That gave the crime thriller starring Emily Blunt, Benicio Del Toro and Josh Brolin $66,881 per location average. Sicario will expand into wide release on Oct. 2.